Entrance of the old Mikhailovsky Palace, guarded by two Medici lions. The State Russian Museum (Russian: Государственный Русский музей), formerly the Russian Museum of His Imperial Majesty Alexander III (Russian: Русский Музей Императора Александра III), located on Arts Square in Saint Petersburg, is the world's largest depository of Russian fine art. It is also one of the largest museums in the country. The museum was established on April 13, 1895, upon enthronement of Nicholas II to commemorate his father, Alexander III. Its original collection was composed of artworks taken from the Hermitage Museum, Alexander Palace, and the Imperial Academy of Arts. After the Russian Revolution of 1917, many private collections were nationalized and relocated to the Russian Museum. These included Kazimir Malevich's Black Square. The main building of the museum is the Mikhailovsky Palace, a splendid Neoclassical residence of Grand Duke Michael Pavlovich, erected in 1819-25 to a design by Carlo Rossi on Square of Arts in St Petersburg. Upon the death of the Grand Duke the residence was named after his wife as the Palace of the Grand Duchess Elena Pavlovna, and became famous for its many theatrical presentations and balls. Some of the halls of the palace retain the Italianate opulent interiors of the former imperial residence. Other buildings assigned to the Russian museum include the Summer Palace of Peter I (1710–14), the Marble Palace of Count Orlov (1768–85), St Michael's Castle of Emperor Paul (1797–1801), and the Rastrelliesque Stroganov Palace on the Nevsky Prospekt (1752–54). Today the collection shows Russian art beginning in the 12th century up to the socialist realism and in the USSR the inofficial art of the 20th century. In 1995 the Ludwig-Museum was funded, which is a substantial collection of contemporary art. 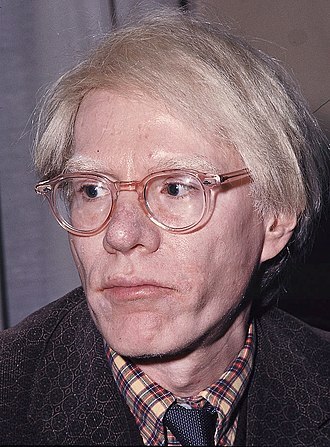 The collection holds important masterpieces since 1945, amongst others Jasper Johns, Pablo Picasso, Jeff Koons, Jean-Michel Basquiat, Andy Warhol, Joseph Beuys, Ilja Kabakow, Jörg Immendorff, Werner Branz and Gottfried Helnwein. The Russian Museum of Ethnography. The Ethnographic Department was originally set up in a building specially designed by Vladimir Svinyin in 1902. The museum soon housed gifts received by Emperor's family from representatives of peoples inhabiting various regions of the Russian Empire. Further exhibits were purchased by Nicholas II and other members of his family as State financing was not enough to purchase new exhibits. 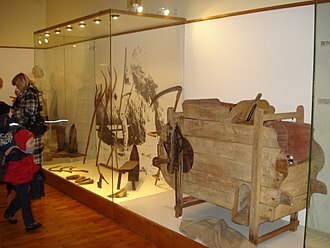 In 1934, the Ethnographic Department was given the status of an independent museum: the Russian Museum of Ethnography. Ilya Repin, What freedom! (1903). 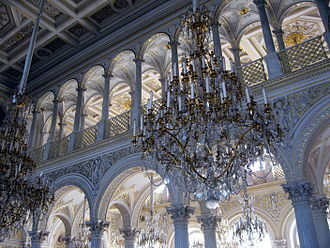 ^ Italianate opulent interiors Archived 2005-02-20 at the Wayback Machine, Russian Museum, Russia. ^ Russian Museum. 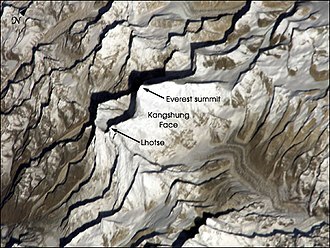 Accessed 8 July 2008. ^ Pes, Javier; Rojas, Laurie (27 May 2014). "Russian art museum to open Spanish satellite". The Art Newspaper. ^ "Russian museum to open €5m branch in Spain". Wikimedia Commons has media related to Russian Museum. St. Michaels Castle, called the Mikhailovsky Castle or the Engineers Castle, is a former royal residence in the historic centre of Saint Petersburg, Russia. St. Michaels Castle was built as a residence for Emperor Paul I by architects Vincenzo Brenna, the castle looks different from each side, as the architects used motifs of various architectural styles such as French Classicism, Italian Renaissance and Gothic. St. Michaels Castle was built to the south of the Summer Garden, afraid of intrigues and assassination plots, Emperor Paul I disliked the Winter Palace where he never felt safe. Due to his fascination with medieval knights and his constant fear of assassination. 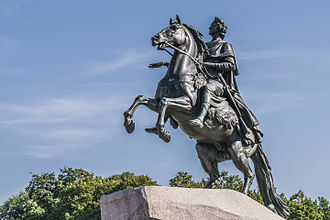 In 1800, the bronze equestrian Monument to Peter the Great was set up in front of the castle and this statue had been designed during Peter the Greats lifetime and later, with the casting being completed in 1747 by the architect Bartolomeo Rastrelli. Paul I was assassinated only 40 nights after he moved into his newly built castle and he was murdered on 12 March 1801, in his own bedroom, by a group of dismissed officers headed by General Bennigsen. Nicholas II was the last Emperor of Russia, ruling from 1 November 1894 until his forced abdication on 15 March 1917. His reign saw the fall of the Russian Empire from being one of the foremost great powers of the world to economic, Soviet historiography portrayed Nicholas as a weak and incompetent leader, whose decisions led to military defeats and the deaths of millions of his subjects. The Anglo-Russian Entente, designed to counter German attempts to influence in the Middle East. Nicholas approved the Russian mobilisation on 30 July 1914, which led to Germany declaring war on Russia on 1 August 1914 and it is estimated that around 3,300,000 Russians were killed in World War I. Following the February Revolution of 1917, Nicholas abdicated on behalf of himself and his son, the recovered remains of the Imperial Family were finally re-interred in St. Petersburg, eighty years to the day on 17 July 1998. In 1981, his wife and their children were canonized as martyrs by the Russian Orthodox Church Outside Russia, located in New York City. On 15 August 2000 Nicholas and his family were canonized as passion bearers, Nicholas was born in the Alexander Palace in Saint Petersburg, Russian Empire, the eldest son of Emperor Alexander III and Empress Maria Feodorovna of Russia. He had five siblings, George, Michael. Nicholas often referred to his father nostalgically in letters after Alexanders death in 1894 and he was very close to his mother, as revealed in their published letters to each other. His paternal grandparents were Emperor Alexander II and Empress Maria Alexandrovna of Russia and his maternal grandparents were King Christian IX and Queen Louise of Denmark. Nicholas was of primarily German and Danish descent, his last ethnically Russian ancestor being Grand Duchess Anna Petrovna, Nicholas was related to several monarchs in Europe. 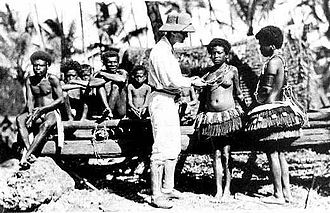 His mothers siblings included Kings Frederik VIII of Denmark and George I of Greece, his wife Alexandra, and Kaiser Wilhelm II of Germany were all first cousins of King George V of the United Kingdom. 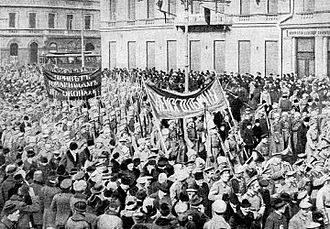 The Russian Revolution was a pair of revolutions in Russia in 1917, which dismantled the Tsarist autocracy and led to the eventual rise of the Soviet Union. The Russian Empire collapsed with the abdication of Emperor Nicholas II, in the second revolution that October, the Provisional Government was removed and replaced with a communist state. 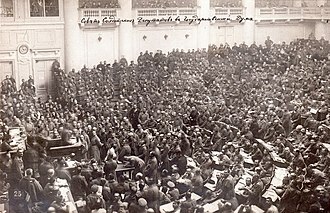 The February Revolution was a revolution focused around Petrograd, capital of Russia, in the chaos, members of the Imperial parliament assumed control of the country, forming the Russian Provisional Government. The army leadership felt they did not have the means to suppress the revolution, the February Revolution took place in the context of heavy military setbacks during the First World War, which left much of the Russian Army in a state of mutiny. During this chaotic period there were frequent mutinies and many strikes, when the Provisional Government chose to continue fighting the war with Germany, the Bolsheviks and other socialist factions campaigned for stopping the conflict. The Bolsheviks turned workers militias under their control into the Red Guards over which they exerted substantial control, the Bolsheviks appointed themselves as leaders of various government ministries and seized control of the countryside, establishing the Cheka to quash dissent. To end Russia’s participation in the First World War, the Bolshevik leaders signed the Treaty of Brest-Litovsk with Germany in March 1918, soon after, civil war erupted among the Reds, the Whites, the independence movements and the non-Bolshevik socialists. It continued for years, during which the Bolsheviks defeated both the Whites and all rival socialists. In this way, the Revolution paved the way for the creation of the Union of Soviet Socialist Republics in 1922, the Russian Revolution of 1905 was said to be a major factor to the February Revolutions of 1917. 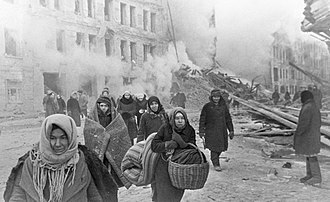 The events of Bloody Sunday triggered a line of protests, a council of workers called the St. Petersburg Soviet was created in all this chaos, and the beginning of a communist political protest had begun. The Stroganov Palace is a Late Baroque palace at the intersection of the Moika River and Nevsky Prospect in St. Petersburg, Russia. The palace was built to Bartolomeo Rastrellis designs for Baron Sergei Grigoriyevich Stroganov in 1753-1754, the interiors were remodeled by Andrei Voronikhin at the turn of the 19th century. The first house for the Stroganovs was built on the site probably in the 1720s, Аrchitect Mikhail Zemtsov erected a second, two-storey house on the site in the 1740s. Since the Stroganovs were the richest family in Russia and were related to the Empress by marriage, Rastrelli could not turn down the commission, like the Vorontsov Palace, the Stroganov Palace was not rapidly built. The Main Staircase decorated with marble sculptures led to the elegant Grand Hall, after Sergei Stroganovs death in 1756, the decoration was completed by his son Alexander in 1760. Within several years, the new empress, Catherine II introduced the Neoclassical taste, the style was championed by Alexander Stroganov, who became President of the Imperial Academy of Arts in 1800. In the 1790s and 1800s decades, architect Andrei Voronikhin was charged with refurbishing the interiors in Neoclassical style, voronikhins mother was the Stroganovs serf, and it was rumored that his father was Alexander Stroganov. The first suites by Voronikhin were the Mineral Study, Picture Gallery, another two enfilades in the west wing were created for Pavel Stroganov, of which the Small Drawing Room survives. After Alexander Stroganov died in 1811, the passed to his son Pavel. Pavel Stroganov had four daughters, but his son was killed in the Battle of Craonne. He established the Stroganov entail, i. e. a non-divisible estate which would pass to the oldest family member and this chain of ownership was preserved until 1919 when the last Count Sergei Stroganov sold his rights to the entail. A new apartment was decorated for Aglaida Pavlovna Stroganov by Carlo Rossi in 1820, after the October Revolution in 1917, the remaining Stroganovs emigrated from Russia, and the palace was nationalized. Vasily Ivanovich Surikov was a Russian Realist history painter. Many of his works have become familiar to the public through their use as illustrations. He was born to an old Don Cossack family that had settled in Siberia and his father was a Collegiate Registrar, a civil service rank that often served as postmasters. In 1854, as a result of his father being reassigned, the moved to the village of Sukhobuzimskoye. In 1859, his father died of tuberculosis so the family returned to Krasnoyarsk and were forced to rent the second floor of their house to make ends meet and he began drawing while attending the district school and was encouraged by the local art teacher. His first formal work dates from 1862, but his family could not afford to continue his education and he became a clerk in a government office. This brought him contact with Pavel Zamyatin, the Governor of Yenisei, who was able to find him a patron, Pyotr Kuznetsov. After a year there, he was allowed to audit classes at the Academy, from 1869 to 1875, he studied with Pavel Chistyakov, Bogdan Willewalde and Pyotr Shamshin, winning several medals. His great attention to composition earned him a nickname, The Composer, in 1875, he graduated with the title of Artist, first degree. In 1877, he received a commission to paint murals at the Cathedral of Christ the Saviour, unable to afford a house, he lived in rented apartments and hotels and visited Krasnoyarsk whenever possible. 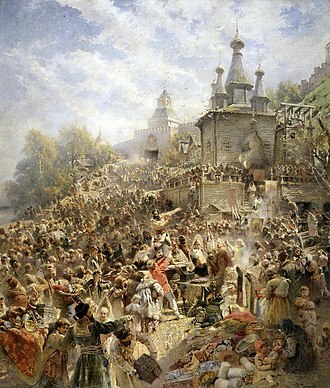 In 1878, he married Elisabeth Charais, a French woman who was descended from the Decembrist, Pyotr Svistunov, after that, he chose to remain in Moscow and began the series of historical paintings that would establish his reputation, starting with The Morning of the Streltsy Execution. 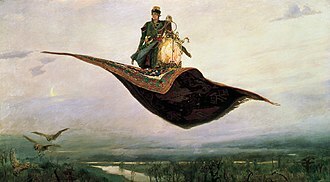 In 1881, he had his first exhibition with the Peredvizhniki, in 1883, Menshikov in Berezov was bought by Pavel Tretyakov for a sum that allowed him to take a European tour. In 1887, he added portraits to his repertoire, beginning one of his mother. In 1888, his wife died and he returned to Krasnoyarsk with his daughters and this was followed by a visit to his ancestral home in Siberia. Ivan Nikitich Nikitin was a Russian painter, an author of portraits and battle paintings. Ivan Nikitin was born in Moscow to a family of an Orthodox priest and he received his first artistic lessons from a Dutch artist Schwonbek at the engraving shop of the Kremlin Armoury. In 1711 the Armory together with Ivan Nikitin was moved to Saint Petersburg, in 1716–1720 he and his brother Roman Nikitin were sent to Italy by Peter the Great. The brothers learnt the art of painting at Florence and Venice, after returning to Russia Nikitin became the favorite court painter of Peter the Great. He worked in Moscow and Saint Petersburg, Ivan was tortured, for five years imprisoned in the Peter and Paul Fortress and exiled to Tobolsk. 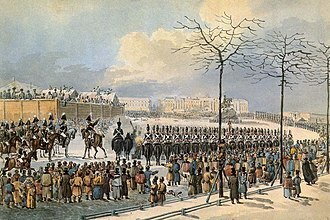 In 1740 Anna of Russia signed an amnesty for the brothers, the amnesty came into force in 1741. 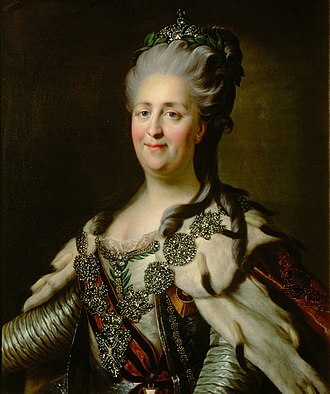 By request of the new Empress Elizabeth of Russia, Nikitin travelled back from Tobolsk to Saint Petersburg, the early portraits by Nikitin had a strong influence of the traditional 17th century parsuna style, no perspective, rigid local colors, dark backgrounds. The sculptures depict standing male lions with a sphere or ball under one paw, looking to the side. The Medici lions have been copied, directly or with variations, according to Vacca, the lion had been a relief, which was carved free of its background and reworked by Giovanni Sciarano or Giovanni di Scherano Fancelli, of whom little is now known. The second was made and signed by Vacca, in marble, the pair were in place at the Loggia dei Leoni in 1598 The pendant was made from a capital that had come from the Temple of Jupiter Optimus Maximus. The sculptures were replaced by copies at the Villa Medici when Napoleon relocated the French Academy in Rome to the villa in 1803 and these copies were made by the French sculptor Augustin Pajou. The original Medici lions are since 1789 standing at the Loggia dei Lanzi, Piazza della Signoria, there is smaller bronze left-looking sculpture attributed to Italian sculptor Pietro da Barga and the same period. Eight sculptures are now in the Museo del Prado, of which four support the tabletop of Rodrigo Calderón, Sculptures in Colmenar marble at the Montforte Gardens, Valencia by José Bellver. Sculptures in marble at the Canalejas Park, sculpture in bronze in the Royal Swedish Academy of Arts building, Stockholm. Sculpture in bronze at the Royal Institute of Art, sculpture in bronze in Nacka, Stockholm. Sculptures in lead at Stowe House attributed to John Cheere, formerly placed at Stanley Park, Blackpool. Sculpture in the park of Kedleston Hall, carved by Joseph Wilton, two artificial stone versions are found in the garden of the Osborne House, Isle of Wight. Sculptures at the Stanley Park and these were produced, by Rupert Harris Conservation, using casts from the former sculptures which were returned, on loan, to Stowe house in 2013. Versions in Saint Petersburg, Russia include, The Lion Cascade in bronze at Peterhof Palace, Sculptures in marble at the Lobanov-Rostovsky Residence. Sculptures in bronze at the staircase of the old Mikhailovsky Palace, Sculptures at the entrance of Yelagin Palace. The Lions at the Dvortsovaya pier in bronze at the Admiralty embankment, versions in southern Russia and Ukraine include, Sculptures in marble at the Vorontsov Palace, Odessa. The Alexander Palace is a former imperial residence at Tsarskoye Selo, on a plateau around 30 minutes by train from St Petersburg. The Alexander Palace is situated in the Alexander Park, not far from the larger Catherine Palace, today it is undergoing renovation as a museum housing relics of the former imperial dynasty. The Alexander Palace was constructed in the Imperial retreat of Tsarskoe Selo, the Neoclassical edifice was planned by Giacomo Quarenghi and built between 1792 and 1796. It was agreed that the architect had excelled himself in creating a masterpiece, in 1821, a quarter of a century later, the architects son wrote, An elegant building which looks over the beautiful new garden. In Tsarskoe Selo, was designed and built by my father at the request of Catherine II, as a residence for the young Grand Duke Alexander. In keeping with the august status of the person for whom the Palace was conceived and its dignified façade, harmonic proportions, and moderate ornamentation. are manifested in its interiors. Without compromising comfort in striving for magnificence and elegance, Alexander used the palace as a summer residence through the remainder of his grandmothers and his father, reign. When he became emperor, however, he chose to reside in the larger nearby Catherine Palace. 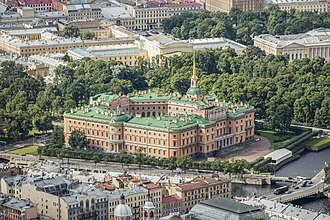 Alexander I gave the palace to his brother, the future Nicholas I, from that time on, it was the summer residence of the heir to the throne. From 1830–1850, extensive redecoration was carried out according to designs by D. Cerfolio, A. Thon, D. Yefimov, A. Stakenschneider and others in keeping with rapidly changing tastes. The appearance of the formal and private rooms of the palace during Nicholas reign can be seen in exquisite watercolors by E. Hau, the famous Mountain Hall which had a large slide built in for the children of Nicholas I was built during this time. In 1842, the Imperial couple celebrated their wedding anniversary with a series of galas including a medieval jousting tournament. Two years later, the family mourned the death of Nicholass daughter Grand Duchess Alexandra, on October 19,1860, the Empress Alexandra Feodorovna died at the palace. The main Neoclassical movement coincided with the 18th-century Age of Enlightenment, and continued into the early 19th century, laterally competing with Romanticism. In architecture, the style continued throughout the 19th, 20th, European Neoclassicism in the visual arts began c.1760 in opposition to the then-dominant Baroque and Rococo styles. Each neo-classicism selects some models among the range of classics that are available to it. They ignored both Archaic Greek art and the works of Late Antiquity, the Rococo art of ancient Palmyra came as a revelation, through engravings in Woods The Ruins of Palmyra. While the movement is described as the opposed counterpart of Romanticism. The case of the main champion of late Neoclassicism, demonstrates this especially well. The revival can be traced to the establishment of formal archaeology, the writings of Johann Joachim Winckelmann were important in shaping this movement in both architecture and the visual arts. With the advent of the Grand Tour, a fad of collecting antiquities began that laid the foundations of many great collections spreading a Neoclassical revival throughout Europe, Neoclassicism in each art implies a particular canon of a classical model. In English, the term Neoclassicism is used primarily of the arts, the similar movement in English literature. This, which had been dominant for decades, was beginning to decline by the time Neoclassicism in the visual arts became fashionable. 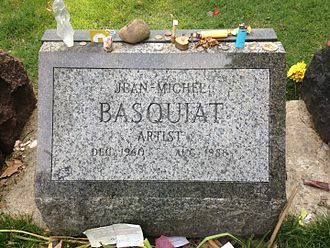 Though terms differ, the situation in French literature was similar, in music, the period saw the rise of classical music, and Neoclassicism is used of 20th-century developments. Ingress coronation portrait of Napoleon even borrowed from Late Antique consular diptychs and their Carolingian revival, much Neoclassical painting is more classicizing in subject matter than in anything else. A fierce, but often very badly informed, dispute raged for decades over the merits of Greek and Roman art, with Winckelmann. The work of artists, who could not easily be described as insipid, combined aspects of Romanticism with a generally Neoclassical style. Unlike Carstens unrealized schemes, the etchings of Giovanni Battista Piranesi were numerous and profitable and his main subject matter was the buildings and ruins of Rome, and he was more stimulated by the ancient than the modern. Viktor Mikhaylovich Vasnetsov was a Russian artist who specialized in mythological and historical subjects. He is considered the co-founder of Russian folklorist and romantic nationalistic painting, Viktor Vasnetsov was born in the remote village of Lopyal in Vyatka Governorate in 1848, the second of the six children. His father Mikhail Vasilievich Vasnetsov, known to be inclined, was a member of priesthood. His grandfather was an icon painter, two of Mikhail Vasnetsovs three sons and Apollinary, became remarkable painters, the third one becoming a schoolteacher. It was in Lopyal that Viktor started to paint, mostly landscapes and scenes of village life, recalling his childhood in a letter to Vladimir Stasov, Vasnetsov remarked that he had lived with peasant children and liked them not as a narodnik but as a friend. From the age of ten, Viktor studied in a seminary in Vyatka, during his seminary years, he worked for a local icon shopkeeper. He helped an exiled Polish artist, Michał Elwiro Andriolli, having graduated from the seminary, Viktor decided to move to Saint Petersburg to study art. He auctioned his paintings of Woman Harvester and Milk-maid in order to raise money required for the trip to the Russian capital, in August 1867 Viktor entered the Imperial Academy of Arts. Three years later, the Peredvizhniki movement of realist painters rebelled against the Academism, Vasnetsov befriended their leader Ivan Kramskoi, referring to him as his teacher. He became close to his fellow student Ilya Yefimovich Repin. 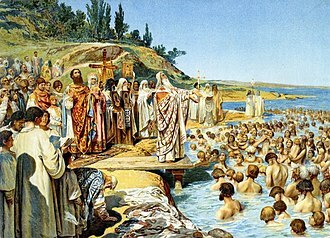 It is ironic, but Viktor, whose name is associated with historical and mythological paintings, for his graphic composition of Christ and Pontius Pilate Before the People, the Academy awarded a small silver medal to him. In the early 1870s he executed a lot of engravings depicting contemporary life, two of them won him a bronze medal at the World Fair in London. At that period he started producing genre paintings in oil. Such pieces as Peasant Singers and Moving House were warmly welcomed by democratic circles of Russian society, in 1876 Repin invited Vasnetsov to join the Peredvizhniki colony in Paris. The Borki Cathedral was one of many churches built to commemorate the Tsar's "miraculous" survival in the train crash. Empress/Tsarina Catherine II (Catherine the Great) of Russia by artist Johann Baptist von Lampi the Elder. Alexandrine Theatre in Saint Petersburg. 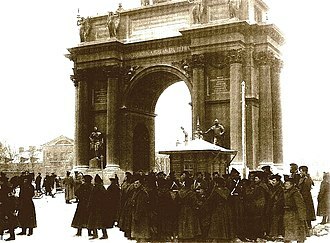 Arch of the General Staff Building in Palace Square, by Carlo Rossi. The palace as seen from across the Fontanka River in August 2007. 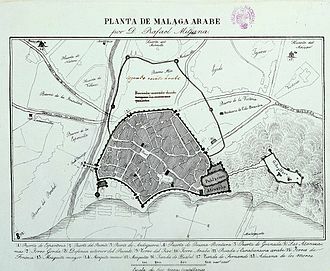 The initials of the first owner. Basquiat in 1986, photo by William Coupon. 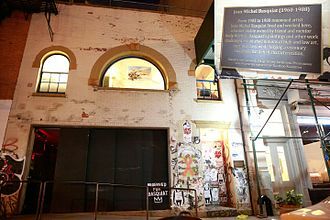 Basquiat lived from 1983 to 1988 at 57 Great Jones in downtown Manhattan, where he died. A plaque dedicating his life was placed on July 13, 2016, by the Greenwich Village Society for Historic Preservation. 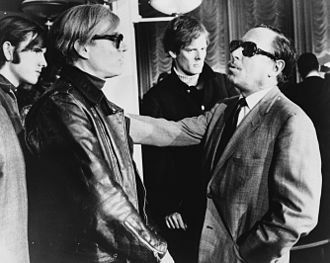 Warhol (left) and Tennessee Williams (right) talking on the SS France, 1967. The house in Feodosia, where Aivazovsky lived between 1845 and 1892. It is now an art gallery. Self-portrait, 1878 (State Russian Museum, St. Petersburg).